GREENSBURG, Pa.- Both teams get at least 1 point in the standings as the Franklin Regional Panthers wins it in overtime against the Hempfield Spartans, 3-2. 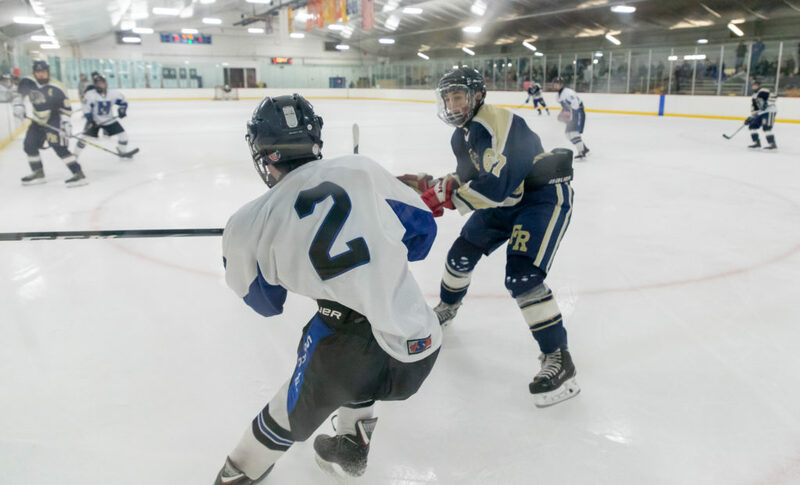 Hempfield (11-6-0-1) still holds a 1 point lead above Franklin Regional (10-6-0-2) in the PIHL AA Southeast. In goal for the Spartans was Joseph Behler (7-6, SV%: 0.823). For the Panthers it was Daniel Soltesz (9-6-2, SV%: 0.895). Oldrich Virag scored at 5:19 in the first period on Franklin Regionals first shot on goal. The Spartans did everything they could to tie the game by outshooting the Panther 15-5. It was Hempfields game in the second period. The Spartans continued to pour shots at Soltesz. Out of 19 shots 2 found the back of the net. Matthew Bartus got an unassisted goal (9:30) and Jared Gerger had the other withs assists from Aiden Edwards and Trent Gray. The Spartans mentality of getting shots off did not go away in the third. At the end of the night Soltesz stopped 43 of 45 shots on net. Panther’s Mathieu Sliva tied the game late in the period. Sliva received the puck in the right circle, from Dylan Lee, before beating Behler glove high to tie the game (12:54). Trent Lunden finished the game at 1:04 into overtimes when he found a rebound and an open net. Lunden entered the zone passing to Sliva who took the initial shot. For a big matchup with a rival there were minimal penalties while each team went 0 for 1 with the man advantage. Joseph Behler ended his night stopping 19 of 22 shots on net. The Panthers will go back to Center Ice for their last game of the regular season against Baldwin on February 18th. The Spartans will have a tough matchup when they play shared ice rival Greater Latrobe on February 18th at Kirk S. Nevin Arena. If Hempfield wins they clinch the third seed in the playoffs. If Franklin Regional wins and Hempfield loses in regulation, the Panthers will skip ahead in points. possibilities, Franklin Regional holds the tiebreaker by winning the season series. The Panthers would be the third seed in the playoffs.